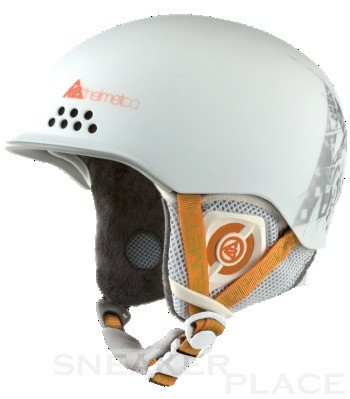 The brand new Rival has fulfilled all of the slimmest shape K2 helmets, but also the highest safety standards for ski and snowboard helmets. And if that's not enough, which takes a look at the unique style, the clean lines and light weight (385g). Who can possibly resist? The manufacturing standard for ultra-lightweight helmets, in which a core of EPS into a polycarbonate shell is lightweight compression-molded. Just like the hard shell design is the core of the "inner workings" of the helmet and is made from EPS. This EPS is wrapped in the course of the production process with the polycarbonate shell and a vacuum in the form of in-mold molded wafer-thin. This system for sizing of helmets offers maximum comfort and adjustability. The built-in helmet K2dialed Fit System has an ergonomic three-point-contact surface and allows an individual adjustment to different head shapes and sizes of glasses. The result is a helmet that sits so well, as it were custom made. Available from Moxie, Crossfire, Rival, Clutch, Shadow, Indy, Edge and Edge Jr.